Taika Waititi can do no wrong. From Eagle vs Shark to What We Do In The Shadows, this New Zealand filmmaker has delighted with his special brand of humour and character depth. In fact, last year, his phenomenal indie hit The Hunt for the Wilderpeople topped many a list for ‘Best of 2016′ and made impressive waves at the Box Office. After tackling the latest Marvel Entry, Thor: Ragnarok, his 2010 hit Boy came back into our lives and now it is out on DVD & Blu-Ray now. 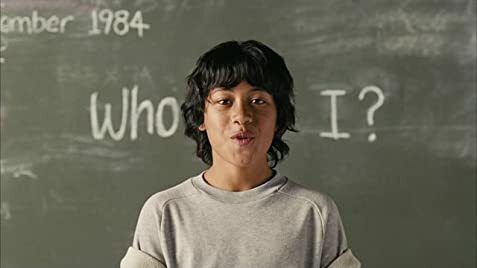 Set in 1984 at Waihau Bay, New Zealand, Michael Jackson obsessed Boy is a Maori kid with lots of dreams, fantasies, and hopes despite being a . A lot of these revolve around his father, whom he idolises. When his Dad Alamein returns from prison, Boy is keen to kick start their relationship again with his heroic father. However, when they finally meet, he discovers that the man is more dim-witted than daring, and more self-centred than self-less. With the image of his father cracking, can Boy discover who he is? Boy is exactly what Waititi does best, silly, stupid, and down-right uncomfortable comedy that works on a multitude of levels. Utilising the era with great homages to the King of Pop as Boy envisages his father to be, Waititi crafts a tonally on-point film that shifts from the fantastical to the hard-hitting reality. The film has a lot of depth; though it may seem like a frivolous coming of age day, it delves into the heart of family relations, particularly about putting a parent on a pedestal. In Boy, it’s not about figuring out that his father isn’t fantastic, in fact, the opposite. That is one of the biggest pains of your life: losing respect for your parents and Waititi tackles the subject matter with sensitivity and great comedic timing. Similarly to Juilian Dennison in 2016’s Hunt for the Wilderpeople (and despite staring Waititi himself as the foolish and foppish Alamein,) it is James Rolleston who commands the screen (well, him and his pet goat). As the dreamer and overly enthusiastic Boy, he is impossible not to love. A joyous titular character who’s first thought after finding a bag of cash is buying ice cream for himself and his mates. But Rolleston also manages to be realistic wounded after his father’s betrayal. As mentioned, Waititi is terrific as the somewhat whiny, and pathetic man who cares more about his loot and “biker gang” (really strong finger action on those air quotes, by the way,) rather than his family. Alamein wants to be the King of the Road, a legendary thief whilst still being admired by his children. When it all starts to unravel, he is hit with realism and Waititi handles Alamein’s break in glorious fashion. Boy is sentimental as well as uproarious. A comedy with a ginormous heart as well as a spectacular finale that is certainly a thriller…. …Anyway, Boy is playing at select cinemas at the moment so it is definitely worth having a look.